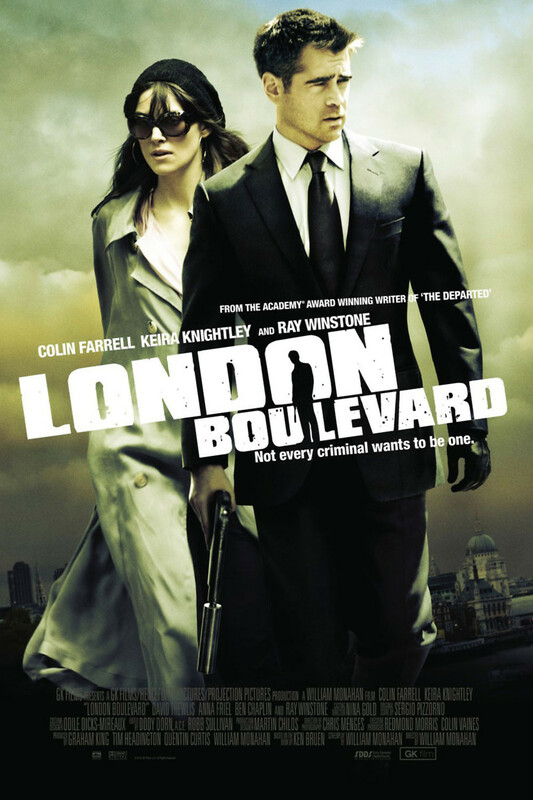 London Boulevard DVD and Blu-ray release date was set for February 21, 2012. Mitchel is fresh out of jail and trying to make an honest life for himself and his drug addicted sister. Mob boss Gant has found out about Mitchel's talents as a criminal and wants desperately for Mitchel to work for him, but Mitchel refuses. Mitchel takes a job as a bodyguard for an actress who is hounded by the media and begins to fall in love with her. When Gant finds a way to blackmail Mitchel and force him to work for him, Mitchel has some hard choices to make. Mitchel must find a way to escape Gant's grasp, protect his sister, and keep the new love.